Reading- We are falling more and more in love with our read aloud book, Escape from Mr. Lemoncello's Library. We've really been able to make inferences about the characters and what motivates their actions. We also started writing our first letter to Miss Pratt in our readers notebooks. Miss Pratt will begin BAS testing next week. 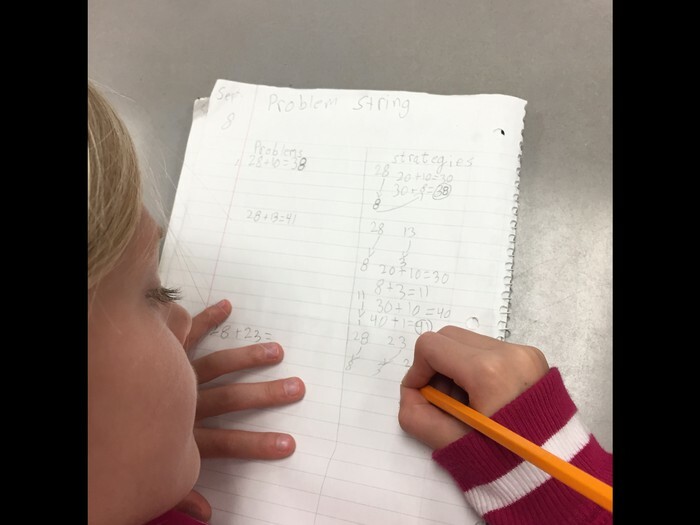 Math- We did a fun length scavenger hunt this week and also learned how to play some new math games for addition and subtraction. We started number corner and the activities have been so much fun that sometimes we forget we are learning. Today we loved the new game we learned, Spud! Social Studies- We started a mapping unit this week! We read Me on The Map and talked about all of the special places we live, such as our continent, country, state, town, etc. 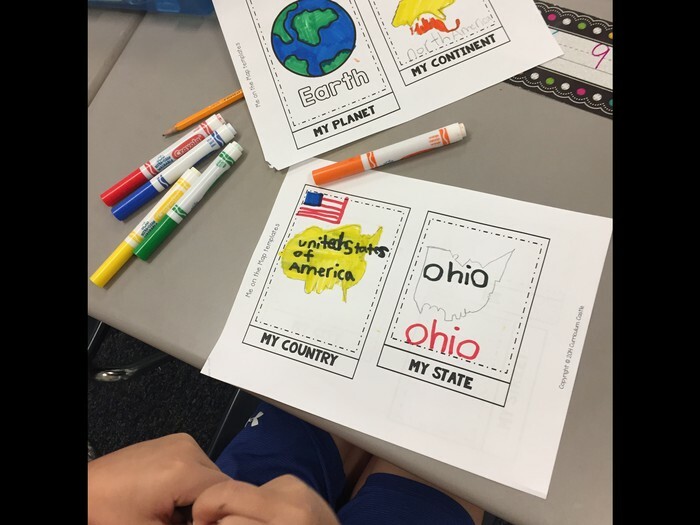 We created our on Me on a Map flip book. Next week we will begin to look at cardinal directions. 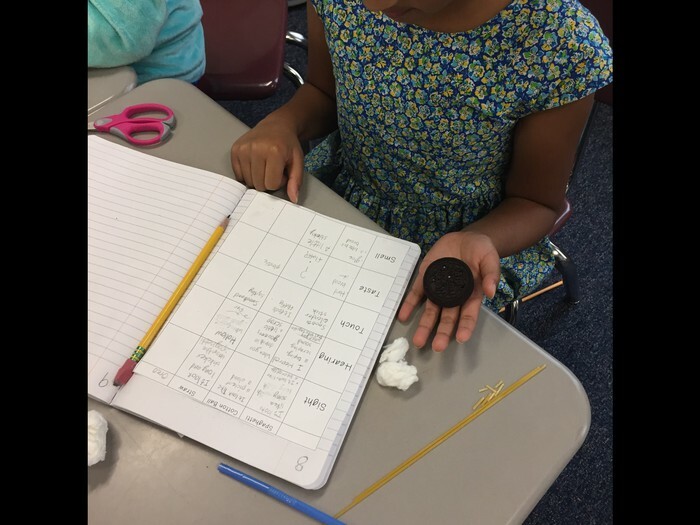 Writing- We loved our 5 senses writing activity this week because we got to eat an Oreo! :) Next week will we start an Opinion Writing unit. Click here to see the homework menu for the week. Remember, it's not due until next Friday and the Design Challenge is optional. Picture Day will be Sept. 14th. Order forms went home this week. If you did not receive one, please let me know and I can send another one home. Scholastic book order forms went home today. If you would like to order online, the classroom code is MBKQR. I will be getting the log in information for ALEKS in the next two weeks, ALEKS is an online math program where students can work at their own pace to complete topics. This is something that will not be required for 3rd grade, but students will earn prizes for completing topics. If you weren't able to attend Curriculum Night, click here to view the slideshow. 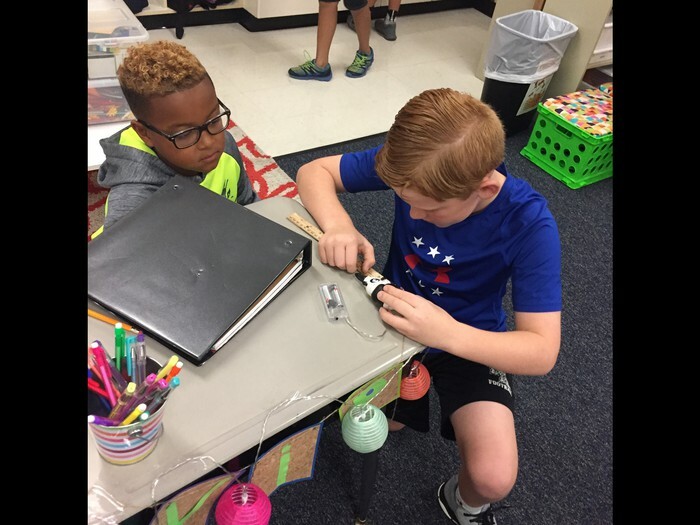 Check out pictures from this week! We have a class full of mathematicians who all love sharing their thinking. Every hand was up while we shared our strategies for these problem strings. 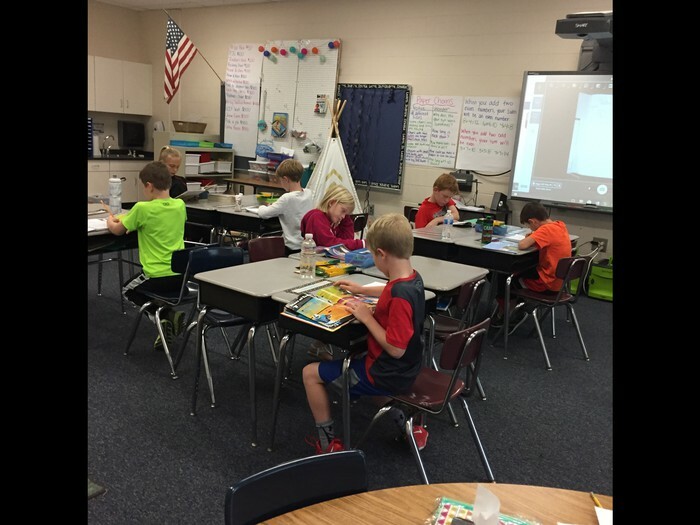 Look how focused these readers are as they begin their first letter to Miss Pratt about the book they're reading. We started our map unit off with the book Me on the Map and then talked about all of the places where we are on the map. Then we made our own flip books. Which of your objects could you line up to fit inside a desk that is 45 cm. wide? Start exploring!! 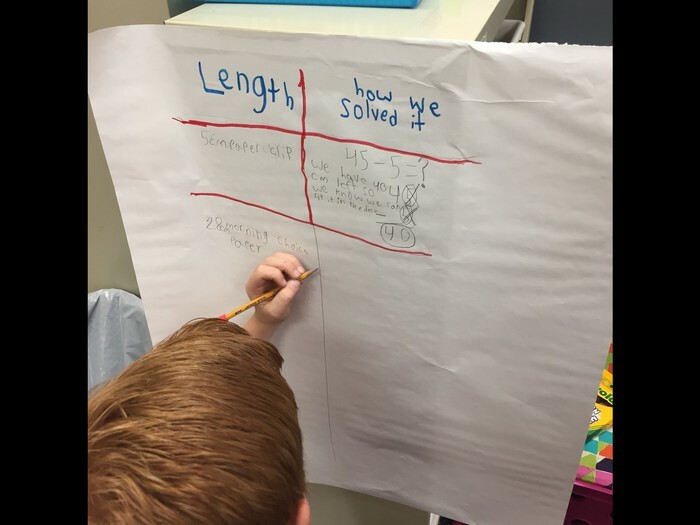 Students measured objects around the room to see which objects matched up with the lengths Miss Pratt had written on the board.